Foam Roofing is a great roofing option for your Wittman house or business that can last a lifetime, IF installed properly. That is why it is very important to hire a licensed Foam Roofing Contractor that is skilled and experienced with how to properly apply it so you have a successful foam roofing system that will last for years to come. 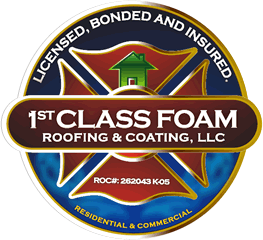 First Class Foam Roofing and Coating, LLC is the trusted expert when it comes to your Wittman foam roof. Whether you need foam roofing installation, maintenance, a new coating application or a foam roof repair, we are happy to consult with you and discuss your roofing needs. We have over 17 years of experience installing foam roofing systems. 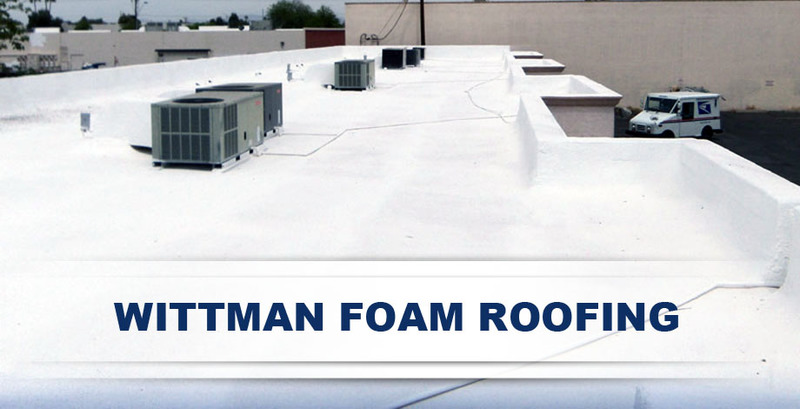 Many factors should be considered to correctly install a foam roofing system in Wittman, AZ. Our technicians are highly skilled and trained on the latest application techniques. A foam roofing installation is best left to a professional roofing company and not something you want to attempt on your own. Improperly installing a foam roof can cause unnecessary damage if not sealed properly. You do not want any water leaks to destroy your home. We often come to the rescue of foam rooftops needing repair due to improper installation techniques performed by amateur roofing companies or do-it-yourselfers. We will come out to your Wittman home or business to inspect your rooftop repair needs. We will provide expert recommendations on what needs to be done to get your foam roof back in working condition. We want to ensure we deliver the best level of customer service to anyone that hires us for their roof repair. Our affordable pricing and high quality workmanship is a guarantee! "Quick response and showed up as promised. " "The crew were polite and worked long hours to complete the job before the monsoon hit! " We recommend that after a foam roof is installed on your residential or commercial building, that the first re-coating is done after 5 years. Any subsequent coatings only need to be applied every 20-25 years. This will ensure your foam roofing system will last for several years without needing to have any repair issues. The benefit to a foam roof is the incredibly low-maintenance. When to call us for roof repair? Call us at 602-722-0663 for a consultation on foam roof repair, installation or re-coating.